Tripura University Recruitment 2019 - Below are various recruitment notifications published by University of Tripura / www.tripurauniv.in. As of now, we don't have any active recruitment notification by Tripura University featured here. We may update as soon as the organization announces a new job notification. If you are looking for any information related to previously organized recruitment drives by Tripura University, you can browse through previous job notifications mentioned below and get the new updates or information you are looking for. Tripura University Recruitment 2019 - Apply Online for 29 Non-Teaching Group A, B & C Posts in Tripura University, Suryamaninagar, Tripura. Online Applications are invited by University of Tripura from 14 Mar 2019 to 29 Mar 2019 for 29 vacancies. 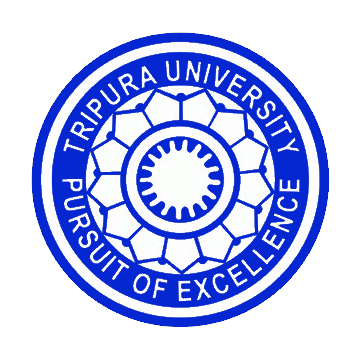 Tripura University Recruitment 2019 - Walk in for JRF Post on a project entitled "Investigation of hydrophobically modified polysaccharides for nanodelivery of anticancer drugs. in the treatment of multidrug resistance colon cancer" in Tripura University, Dukli, Tripura on Temporary on Co-terminus Basis. Candidates are invited by University of Tripura to attend walk-in-interview to be held on 20 Mar 2019 02:00 PM for 1 vacancy. Tripura University Recruitment 2019 - Walk in for JRF Post on a project entitled "Microbial enzyme based natural fiber (Ramie) finishing: an ecofriendly approach" in Department of Botany, Tripura University, Tripura. Candidates are invited by University of Tripura to attend walk-in-interview to be held on 14 Mar 2019 11:00 AM for 1 vacancy. Tripura University Recruitment 2019 - Walk in for Research Assistant Post on a project entitled " Impact of the Vedas and Smritisastra on Rites and Rituals of Tribes of Tripura State : An Explorative study" in Department of Sanskrit, Tripura University, Tripura on Temporary Basis. Candidates are invited by University of Tripura to attend walk-in-interview to be held on 28 Jan 2019 11:00 AM for 1 vacancy. Tripura University Recruitment 2019 - Walk in for 17 Guest Faculty Posts in Tripura University, Tripura. Candidates are invited by University of Tripura to attend walk-in-interview to be held on Last week of January 2019 and February 2019 for 17 vacancies. Tripura University Recruitment 2019 - Walk in for JPF Post on a project entitled "Conservation of Biodiversity and Livelihood Enhancement through Community-Based Forest Management and Ecotourism in and around Submergence of Small Hydropower Project". in Tripura University, Tripura on Temporary Basis. Candidates are invited by University of Tripura to attend walk-in-interview to be held on 25 Jan 2019 11:00 AM for 1 vacancy. Tripura University Recruitment 2019 - Walk in for Technical Staff Posts in Tripura University, Tripura on Temporary Basis. Candidates are invited by University of Tripura to attend walk-in-interview to be held on 22 Jan 2019 12:00 PM for 1 vacancy. Tripura University Recruitment 2018 - Walk in for OSD Finance Post in Tripura University, on Contract Basis. Candidates are invited by the University of Tripura to attend walk-in-interview to be held on 30 Dec 2018 at 01:00 PM for 1 vacancy.